Following an Independent Examination and Referendum, Stroud District Council brought the Dursley Neighbourhood Plan into legal force under Section 38A (4) of the Planning and Compulsory Purchase Act 2004 (as amended) ('the 2004 Act') on 21st February 2019. The decision statement can be viewed in full below. The Dursley Neighbourhood Plan now forms part of the statutory Development Plan for the District of Stroud. 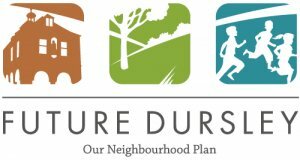 Dursley Town Council is pleased to announce that following the referendum held on Thursday 15th November the Future Dursley - Neighbourhood Development Plan (NDP) was approved. The turnout for the election was 31.7% with 85.5% voting for the plan to be approved. The Future Dursley NDP will now be used to determine planning applications in the local Dursley area. Dursley prepared the Neighbourhood Development Plan under the powers granted by the Localism Act 2011. NDPs give local communities the power to put in place planning policies for the future development and growth of their neighbourhoods. This community led project is being guided by a Steering Group made up of local residents and town councillors. Dursley Town Mayor Neil Grecian said "I am very pleased that after four years we have a democratically approved NDP in place. This important document will form part of the planning process and will help shape Dursley over the coming years. My sincere thanks go to the volunteers, staff and councillors who have contributed to the Steering Group and the drafting of the plan and associated documents".